This pitcher won't shatter no matter how drunk you get. Instead of a typical glass pitcher try this affordable plastic one! This inexpensive pitcher holds 32 oz. of any liquid you enjoy. The sturdy plastic is difficult to break so you will not have to worry about the mess. 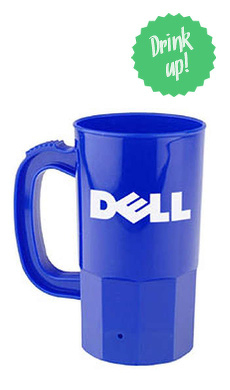 Add your logo to this pitcher to promote your business at the same time. These pitchers are great for any business and are clear so you can see the liquid you're pouring. Get your quality plastic pitcher at unbeatable prices imprinted with custom artwork from our design team standing by. Imprint Area: 3" x 3"